Willow Creek 1, Willow Creek 2 and Willow Creek 3, were built between 1975 and 1983 by The Writer Corp., founded in 1965 by George Writer Jr. Writer is a native of Denver. Willow West, a separate, non-HOA part of the community, was developed by MJ Brock & Sons. Willow Creek 3 has 318 single family homes and 197 townhomes, for a total of 515 residences. Willow Creek 1, Willow Creek 2, Willow Creek 3 and Willow West combine for a total of almost 1900 residences. 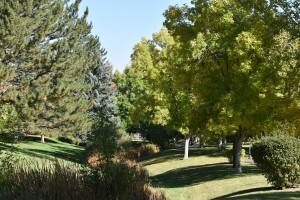 The Writer Corp. built over 12,000 homes in 35 communities, including Willow Creek, The Knolls, Castle Pines North, The Pond, South Park, North Park, Wildgrass, Meadow Glen, Devils Thumb in Boulder, Harvest in Fort Collins, Cottonwood Creek in Colorado Springs and Writer Square in downtown Denver. George Writer believed in building communities that included parks, open space and diverse housing types. He was honored as Colorado Builder of the Year in 2000 and Metro Denver Builder of the year in 1980. Writer is a resident of Santa Barbara, California. Standard Pacific Corp. acquired the Writer Corp. in 2000. Standard Pacific and Ryland Homes merged in 2015 to become CalAtlantic. In February 2018, CalAtlantic merged with Lennar Corporation, making Lennar the largest homebuilder in the U.S. based on revenue. Willow Creek Elementary School has been educating kindergarten through fifth-graders in our community since 1977. In 1999, 2006 and 2018, the school won the prestigious national Blue Ribbon School of Excellence Award. In addition, it has won the John Irwin Schools of Excellence Award annually since 2001. That award goes to the top eight percent of Colorado schools, based on student achievement scores. Willow Creek Elementary is part of the Cherry Creek School District. For complete information on Willow Creek Elementary School, connect to the school website. Don’t forget to clean up after your pet when dog walking. The city of Centennial (municipal code 7-7-320) as well as Willow Creek 3 policies, require that pet owners remove and dispose of pet waste on any property other than that of the owner or keeper. In other words, when you are out and about with your dog, don’t leave a mess. (a) It is unlawful to place animal feces in storm sewers or upon the property of another. (b) It is unlawful for any person to dispose of animal feces in any manner except by depositing it in a toilet, a covered fly-tight container normally used for garbage or an airtight bag or container placed in a garbage receptacle. (c) It is unlawful for the owner or keeper of an animal that defecates upon any property other than that of the owner or keeper, including the common areas of condominiums, townhouses, duplexes or apartments, to fail to immediately remove and properly dispose of such feces, as outlined herein. City fines start at $50 and can include a Municipal Court appearance. And if you see someone not following the rules, please let them know. 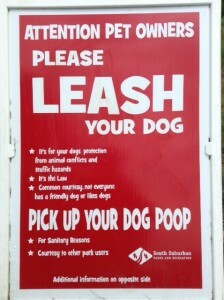 Also, both Willow Creek 3 and the city require that dogs be leashed and under control when out in the community.